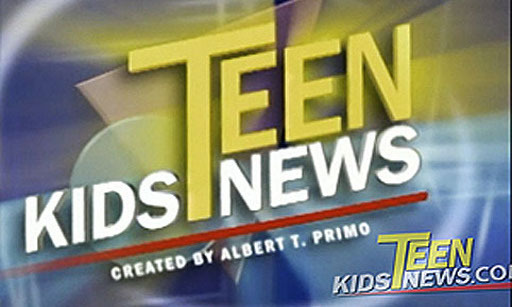 Teen Kids News is a dynamic television news program for teens and pre-teens-by teens. The half-hour weekly program provides information and news to students in a way that's educational as well as entertaining. The focus of the program is young people, so all the stories are in their words. This program inserts the clear informed voice of students into the adult-dominated media and provides a unique perspective that is not currently available on network news program. Executive Producer Albert T. Primo, who created the Eyewitness News format and award-winning Eyewitness News Producer Alan Weiss are producing the program. Weekly Reader Online provides educational content and works with teachers nationwide to download Teen Kids News scripts to teach public speaking, reading, and writing skills.